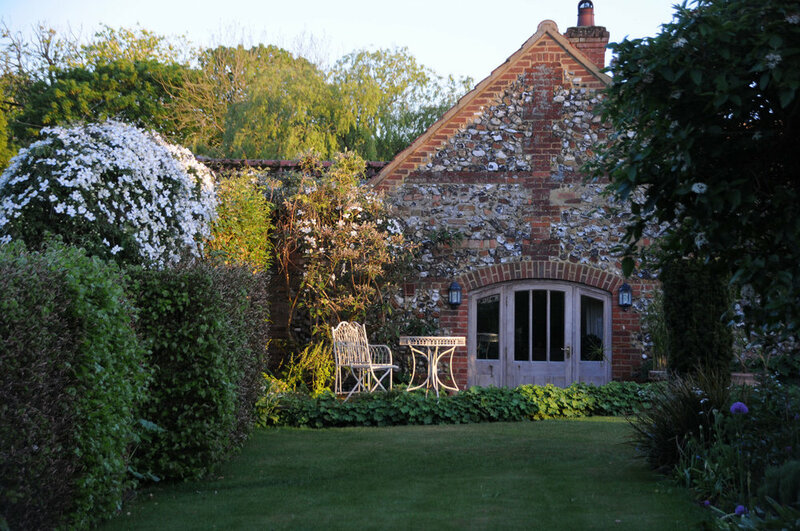 Located in the garden and approached through clouds of scented lavender, Garden Cottage is an idyllic romantic retreat. Converted from an original farm building, the cottage has a light filled, open plan sitting area with wood burning stove and provides a wonderfully comfortable, single level space for two. The cottage benefits from a well equipped kitchen complete with a large hob, oven, microwave and washing machine and an airy bedroom with king-size four poster bed. The adjoining bathroom is spacious and includes a bath and walk in shower. Every inch of the cottage has been beautifully decorated and thoughtfully filled with art and objects from all over the world. Antique furniture, Indian rugs and an eclectic collection of art complete the homely, global interior. Outside, the adjoining terrace is a real sun trap and a wonderful spot to sit and enjoy a glass of wine while watching the resident barn owls feeding their young. Extra touches such as high quality linen and fluffy towels make every stay at Manor House Farm a luxurious experience.